A tour starting in Tirana is a great way to see Europe. We have 72 tours that range from 3 days up to 16 days in length. The most popular time for tours leaving Tirana is June, which has the most tour departures. 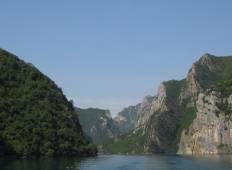 "We had the pleasure to visit Albania and Ervin was so accommodating and wonderful..."
"“Albanian Alps offer an amazing view of virgin nature with mountains, waterfalls..."
"Eno was a great tour guide. We were able to see parts of the mountains with the 4x4s..."
"Overall the tour was great! Jenka, our tour guide and Ervin, the driver always ensure..."